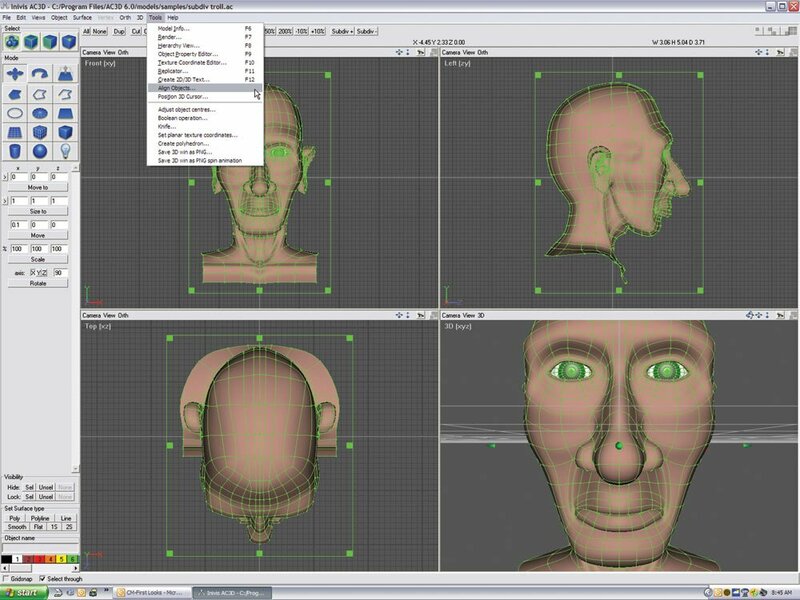 AC3D is a powerful 3D modeling software available for Windows, Mac, and Linux that allows users to create complex 3D models for a number of uses with a simple click-and-drag interface. The software can be used to create models for 3D printing as well as for games, simulations, data visualization, and more. With a personal license starting at just $90, it’s one of the more affordable 3D modeling software solutions available. At its core, the key aspect of AC3D is its ease of use. You can easily move and drag boxes and handles around the screen to relocate or resize objects. 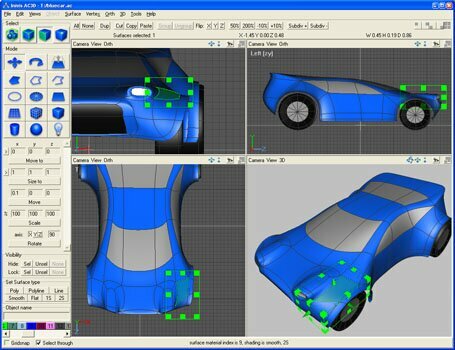 The software allows you to easily smooth models and create more organic shapes. You can view your object from as many different angles as you want in as many simultaneous multiple windows as you want. You can also apply 3D and 2D text effects to your model. The software makes it very easy to navigate the interface and edit and manipulate any component and any granularity you wish. You can easily snap objects together and smooth over the polygons to create more natural shapes. The application turns your mouse into a very powerful model and world builder. It’s very simple to manipulate the polygons (the software refers to polygons as surfaces). You can spike polygons, spline, bevel, triangulate, make holes, flip, flatten, divide, combine, change vertex order, and cut away into a new object. The program supports a number of file formats including .3ds, .obj, and .x3d. You can also use GIF, JPG, PNG, BMP, and TIF files for texturing and for background images. Despite its powerful capability, the software is lightweight and can be used on any operating system. The only system requirements are at least 256 MB RAM, 20 megs of hard drive space, and a monitor resolution of 1024×768 or higher. Inivis, the makers of AC3D, also recommend a 3D accelerated video card with OpenGL drivers.